Bridges Beyond the Classroom, the framework for the academic initiative, articulates our University’s experiential learning goals for its students and creation of a portfolio that tracks performance of every graduate inside and outside of the classroom. Experiential Learning: What exactly does it mean? Experiential learning puts students at the center of the university’s value to its community and region. 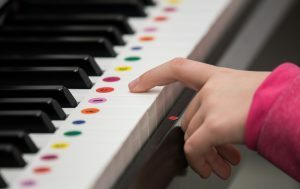 The UTC Department of Performing Arts’ Music Division recently donated keyboards to the Chattanooga Public Library, where they're used give free piano lessons to kids. 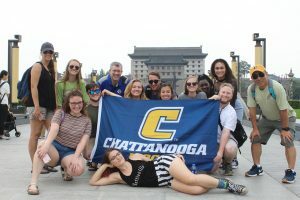 A group of 11 UTC students recently took a study abroad trip to China, learning about the people, the culture, the social structure and how the country is different from the United States. Goal 1 of the UTC Strategic Plan seeks to Transform lives through meaningful learning experiences. Experiential learning provides a compass for all academic departments to identify ways to extend the classroom experience, so every UTC student has opportunities for hands-on learning in their area of study. A campus and community-wide survey on experiential learning received an overall positive reaction. Its effectiveness will come from greater definition, implementation and measurable impact that adds increased value to a UTC degree and more opportunities for UTC graduates. UTC has a strong academic platform that includes classroom instruction linked with external opportunities. The overall UTC experience can be better defined and reinforced. There are distinctive programs in the Colleges of Business and Engineering & Computer Science and the Nursing program. Opportunities exist to better define a UTC education across the campus. 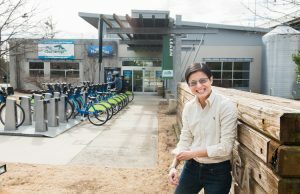 Areas of excellence should be stressed: provide information that differentiates a UTC education and promote the University’s external relationships, such as with the Oak Ridge National Laboratory, the Innovation District in Chattanooga and the MetroLab Network. Survey results also indicated perceived inequities across the campus when considering collaborative learning. Some departments offer courses that link the classroom with an external learning experience, but these opportunities do not exist campus-wide. Finding the best ways to bridge these experiential learning gaps is an important step for discussion among our faculty, staff and students. Survey numbers show that applied learning experience is a critical component of a UTC degree. These learning experiences develop the whole person, provide an education grounded with real world experiences, community-connected learning and the opportunity to work in a diverse setting. Bridge between classroom and external, applied learning experience provides UTC students with broader portfolio, creates peer-to-peer interactions and encourages problem solving in a team setting. Would you participate in a 20-30 person learning community that included students on track toward the same major and with a common faculty interface?